Openbet are perhaps best known for their sportsbook solution, however they’ve always made games too and now they are owned by NYX that is something that will continue apace. Click here to read more. 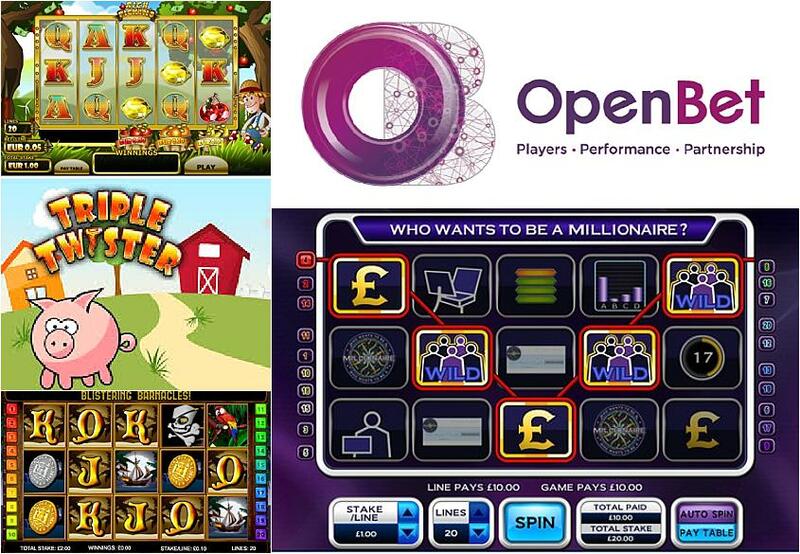 OpenBet is a leading online games developer that has been around in the industry for over 20 years. During that time, the company has established an impressive worldwide presence, providing its games to over 200 online casinos. Many of its games are lauded among both players and casino operators as being among the best in the market, so you’ll always in for a treat when playing OpenBet slots. With over 20 years of online casino experience under its belt, OpenBet is an expert in operating online gaming services. Every year, its games see 5 billion gameplays at online casinos and 2.4 million gameplays from mobile devices. There are over 40 different integrated games suppliers across the web that provide OpenBet casino games and other services that allow players to experience safe, secure and rewarding gameplay. All-in-all, there are over 100 games in the OpenBet catalogue – each with unique themes, bonuses and formats. So, when you access OpenBet slots, you’ll certainly be spoilt for choice. There are also several dozen proprietary games in the collection, developed in-house by OpenBet’s own development team. These games feature more classic slots formats and bonuses, so they tend to be geared more towards players who prefer land-based slots. All OpenBet slots are developed using HTML5 technology. This cross-platform language allows games to be built in such a way that they are compatible with mobile and desktop devices that run on iOS, Android and Windows operating systems. These types of games entirely browser-based, so you don’t have to download any software. Cross-platform software is becoming increasingly important in the online gaming market, as more players around the world prefer to play games from their tablets and smartphones. While these awards honour OpenBet’s sportsbetting achievements, they speak to the quality of the software and the commitment of the team. As an award-winning online games developer, OpenBet aims to deliver top-quality services to players in just about every capacity. Whether OpenBet is developing online slots, providing sportsbetting services or operating online poker rooms, you can always rest assured that you’re accessing safe, trusted and quality software.